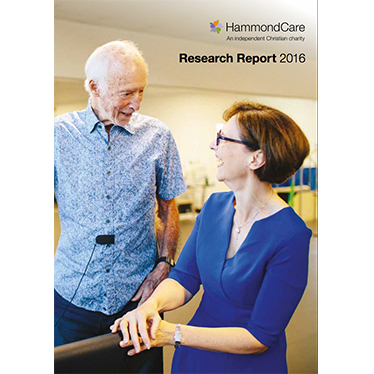 This is HammondCare's research report for 2016. Thirteen of the 76 projects were new in 2016, and the breadth of projects is impressive, ranging from evaluating the most appropriate medications for symptom control, to understanding and dealing with distress and planning for the future. The focus on the spiritual aspects of care highlights the mission of HammondCare.